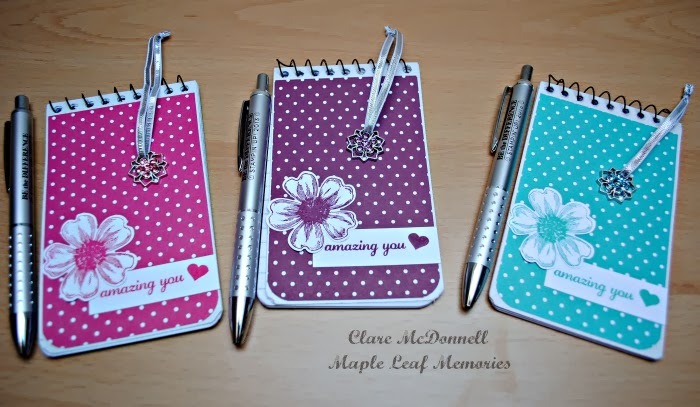 Sunday was our Team Meetup and it was great to spend the day with my team, chatting, crafting and drooling over the products from the new Spring/Summer catalogue. 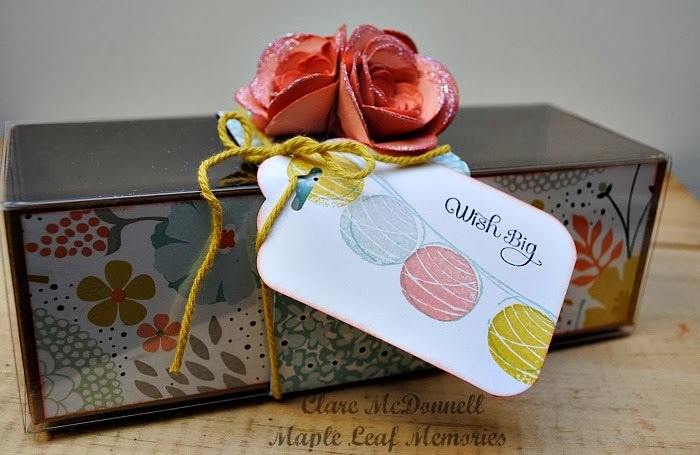 When Stampin Up demos get together we always do some swapping. 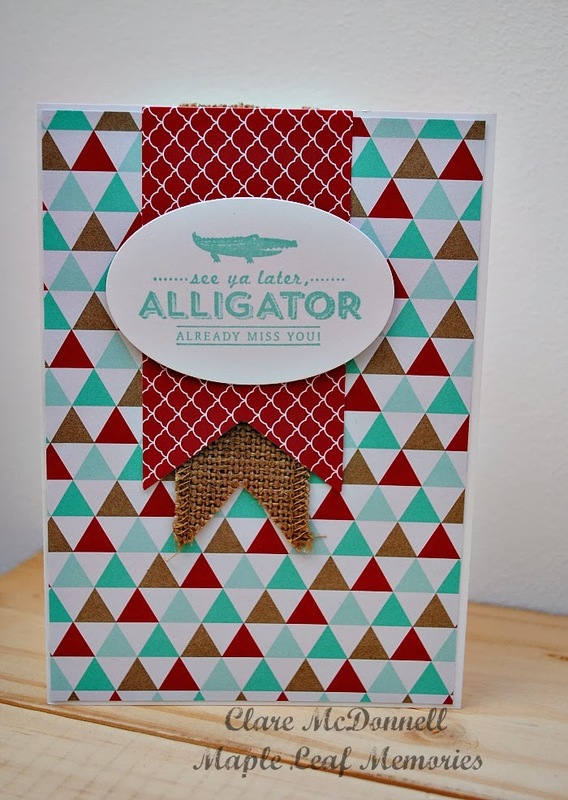 Each person makes enough cards of one design for everyone attending and they do likewise and then we swap so we have several different card designs, it's a great way to see new ideas and techniques, and get samples of stamp sets I might not have. 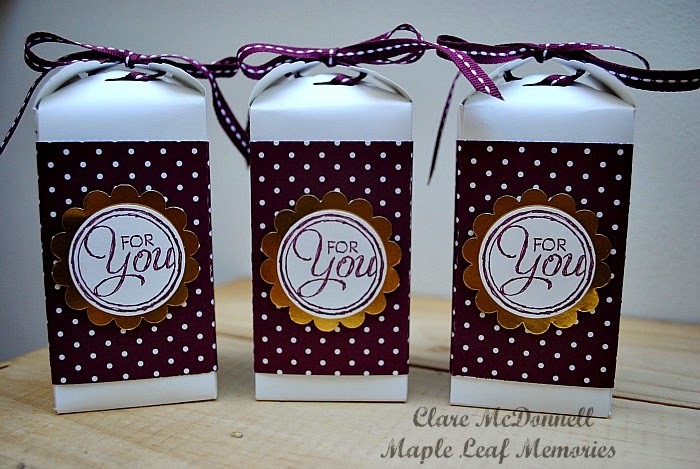 For my swap on Sunday, I made these little sweetie boxes using the NEW Tag Topper punch before decorating them with Rich Razzleberry paper and matching ribbon. I think the gold scallop circle is the perfect addition to the purple. There was a pen that I'd brought back from Convention, a mini notebook and a charm for their scissors. I made each set in a different colour and coloured the charms to match. I also wrapped them up in a pretty, co-ordinating gift bag but I forgot to take a photo before they arrived. 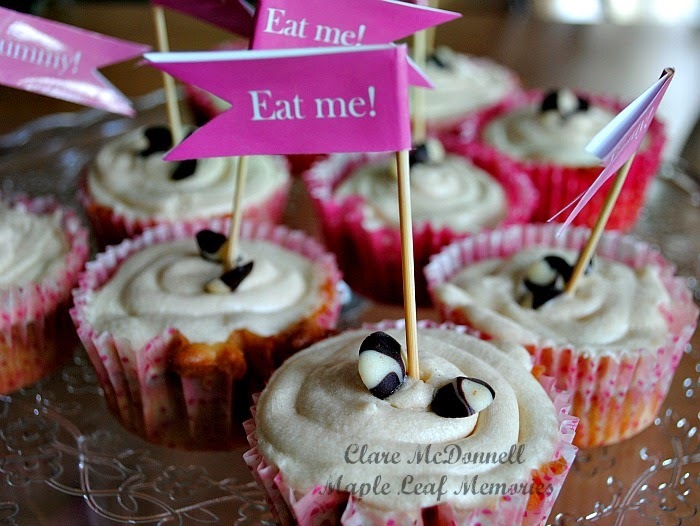 We had some business training before lunch which included some cupcakes made by my eldest daughter. 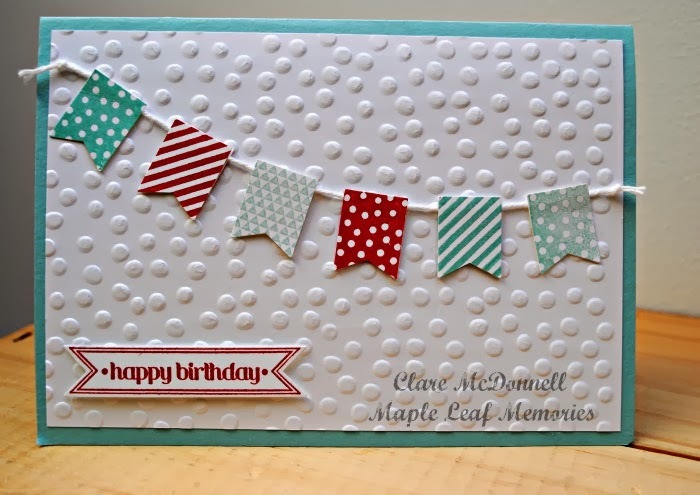 for the tag, we used the Scalloped Tag Topper punch and Happy Congratulations Stampset. before finishing off with the final card which is much nicer in real life, the photo just doesn't capture how gorgeous the gold embossed vellum really is. It was definitely the favourite project of the day. If you would like to join us at our next get together, please get in touch.